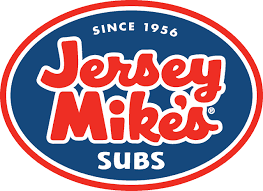 At Jersey Mike's Subs, we're all about quality. What makes a Jersey Mike's Sub so good? It's the ingredients! High quality meats and cheese sliced in front of you, store baked bread - the authentic taste served Mike's Way with fresh lettuce, onions, tomatoes, oil, vinegar and spices! Of course, everything is served with a smile. Have an event or party coming up? Jersey Mike's catering is sure to please. Choose from subs by the box, subs by the bag, or personal boxed lunches. Don't forget the dessert! Our cookie and brownie trays are the perfect finale for any type of gathering. No cash back. No cash value. No credit given. Valid at both the South Fargo and West Fargo locations.